You are here: Home / Welcomes You! St Martin’s Episcopal Church Welcomes You! What is St Martin’s Church? St Martin’s is an Episcopal parish belonging within the Episcopal Diocese of Rhode Island. The diocese is a geographic area, in this case the State of Rhode Island presided over by a single bishop. The Episcopal Church is the representative in the United States of the world-wide Anglican Communion – an international association of Churches of the Anglican Tradition, which after the Roman Catholic Church forms the largest single worldwide Christian Tradition. Anglicanism is historically referred to as the via media or the middle way and emerges from over a thousand years of English Christianity. We maintain a tradition that retains the characteristics of historic catholic Christianity in the form of sacraments and the three-fold ministry of bishop, priest and deacon within a theological understanding strongly shaped by the Protestant Reformation. St Martin was born in what is now Hungary, grew up in what is now Italy, and lived and died in what is now France between 316 and 397 during the final years of the Roman Empire. There are two stories that tell is about St Martin. The first is of Martin as a conscript in the Roman Army. One cold winter’s day he came upon a naked beggar. Using his sword to cut his cloak in two, he gave half to the beggar. The second story concerns Martin’s return to the town of Tours where the people acclaimed him bishop. Martin was so reluctant to become their bishop that he hid among a gaggle of geese who on discovering Martin in their midst raised their cries, thus alerting the townsfolk to Martin’s location. At St Martin’s Church both stories shape our identity. We are a community deeply concerned with the needs of the world around us. Two of our significant outreach ministries are the Thrifty Goose – our goodwill clothes store, and The Cloak, a ministry of clothing the homeless. 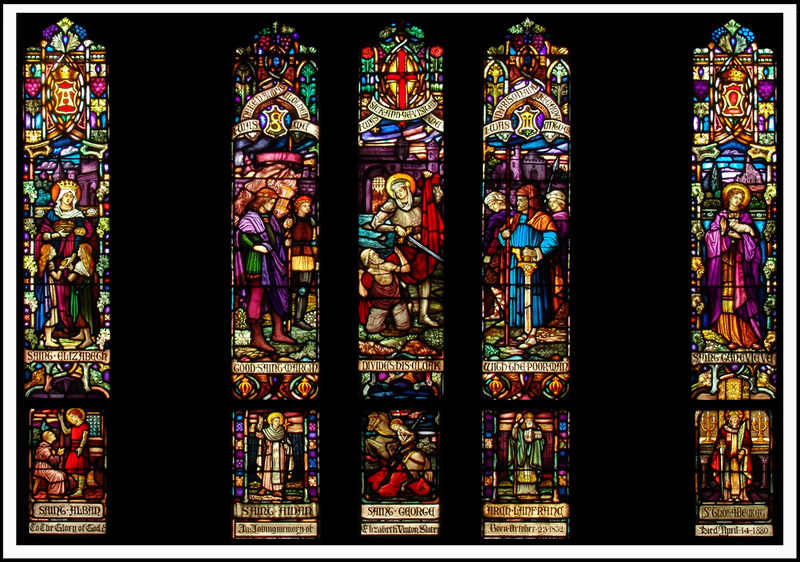 The story of the life of St. Martin is memorialized in the large stained glass window in the St Martin Chapel. Being a Christian in any tradition involves worship. However, worship for the Episcopal Church is the way we define the boundaries of community. We consider anyone who is able to pray and worship with us according to the soaring cadences of the Book of Common Prayer to be one with us. Worship rather than shared belief forming the boundaries of our membership allows us to tolerate a wide variety of worldviews among our members. Being Episcopalian is not so much a set of beliefs, it’s a way of believing, and the pattern of believing is communicated and structured by the use of the Book of Common Prayer.